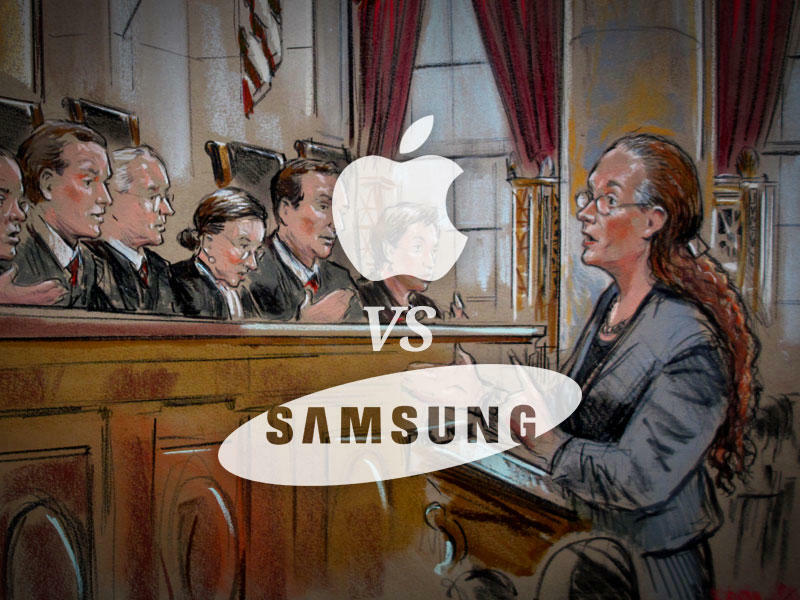 After several days of deliberation, the jury has reached a verdict in the latest Apple vs. Samsung trial. Both companies had a stake in this trial with Apple seeking $2.2 billion in infringements, and Samsung asking for $6 million. To the Apple arguments, Samsung said at most it owed $38 million. The verdict is currently being read and so far Samsung has been found to have violated at least one patent by the jury. Specifically the '647 patent which covers data detectors, all accused Samsung devices were found to be in violation. Patents 959 – which covers universal search – and 414 – involving background syncing – was where Samsung picked up some good news and none of its devices were found to have infringed. However, on patent 721 which involves the slide to unlock feature, and the 172 patent regarding autocomplete suggestions, the jury was mixed, finding that some of the Samsung devices did infringe on Apple while others did not. On Samsung's side of the courtroom, the jury ruled that Apple's patents were not invalid as the Korean company tried to state. The jury has whittled down the original $2.2 billion that Apple was seeking to $119.6 million. Not everything was bad news for Samsung today, however. Apple was indeed found to have violated Samsung's patent 449 in regards to cameras and folder organization which relates to the FaceTime service on Apple devices. The jury awarded the company $158,400 in damages. Speaking with Re/Code following the verdict, Apple said "We are grateful to the jury and the court for their service." The spokesperson went on to add, "Today's ruling reinforces what courts around the world have already found: that Samsung willfully stole our ideas and copied our products. We are fighting to defend the hard work that goes into beloved products like the iPhone, which our employees devote their lives to designing and delivering for our customers." It is highly unlikely that this will be the end of the case as both sides are sure to appeal the rulings.